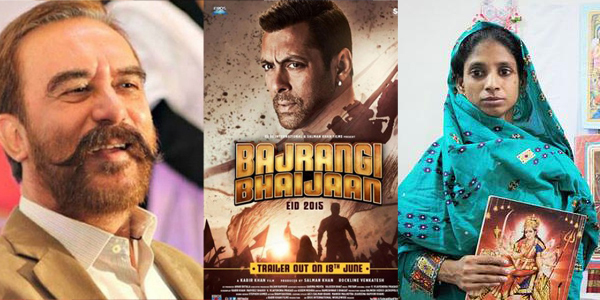 Raaga.com: Meet Pakistan’s ‘Real Life’ BAJRANGI BHAIJAAN, who has rescued an Indian Hindu girl lost in Pakistan! Meet Pakistan’s ‘Real Life’ BAJRANGI BHAIJAAN, who has rescued an Indian Hindu girl lost in Pakistan! Ansar Burney, the Pakistani Human rights activist and former Pakistan Minister is being recognized as Pakistan’s BAJRANGI BHAIJAAN in social media thanks to his valiant efforts to rescue an Indian Hindu girl Geeta lost in Pakistan many years ago. Sound filmy, isn’t it. In fact very much similar to Salman Khan’s movie BAJRANGI BHAIJAAN that revolves around a speech-impaired girl from Pakistan who finds herself lost in India and an Indian rescuing her and reuniting her with her family in India. Right? Well, while Salman Khan’s movie was a fictional tale, Geeta’s story is genuine, who accidentally crossed into Pakistan many years ago as a child of 11 years. Surprisingly like Munni in Salman Khan’s movie, who is shown mute; Geeta too is a deaf and dumb girl. She was found by Pakistan's Punjab Rangers. She has been living with a philanthropist family near Karachi. The Punjab Rangers brought her to the Edhi Foundation some 15 years ago. Now 23 years, Geeta, still aspires to meet her parents in India. Hence since long Ansar Burney has been repeatedly raising her sorrow tale but in vain. Burney had raised Geeta's issue three years ago during a visit to India at Aman Ki Asha – An endeavor of ‘Peace Dialogue’ between India and Pakistan. He has also been running a Facebook campaign to trace her family in India, very much like Nawazuddin Siddiqui, playing a journalist in BAJRANGI BHAIJAAN. However what has eventually proved successful is his noble mission is the release of Salman Khan's film BAJRANGI BHAIJAAN, which draws parallels with Geeta. Thanks to the movie’s poignant tale of brotherhood, Ansar Burney’s plea has reached the concerned authorities in India. Even actor Salman Khan has extended all his help to unite the girl to her family. 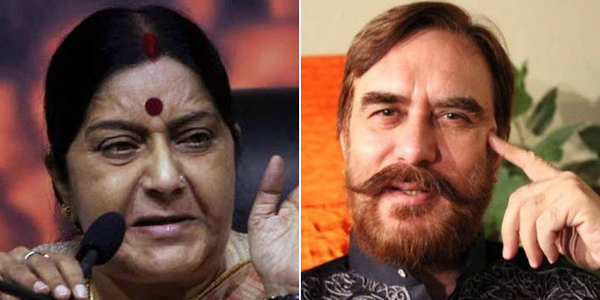 Thus thanks to Ansar Burney consistent attempt to help her reach India, she would soon reach her home in India as the Indian External Affairs Minister Sushma Swaraj has ordered to rescue her and unite with her family. According to latest news, Sushma Swaraj moved over by Geeta’s plight has directed Indian High Commissioner in Islamabad TCA Raghavan to fly to Karachi and meet Geeta and explore ways to reunite the deaf-and-mute lady with her family.